The WFUMB Center of Education Chisinau is located in the Public Medical and Sanitary Institution “Republican Center of Medical Diagnostics”. 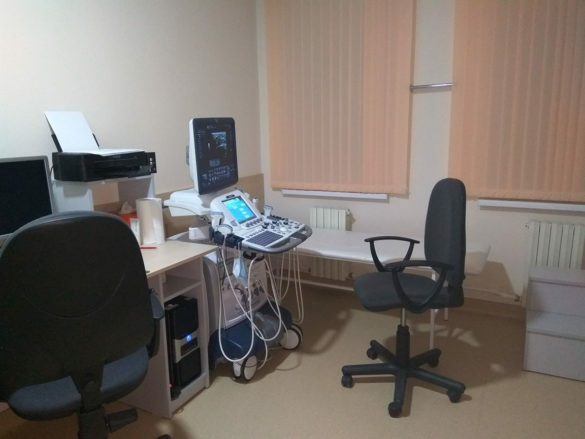 There are 6 examination rooms, equipped with premium and expert ultrasound equipment, as well as computers and printers, where different scans are performed as: abdominal, gynecologic (transvaginal), obstetrics (first trimester), superficial organs as breast and thyroid gland, prostate (transrectal), scrotum, vascular and heart. 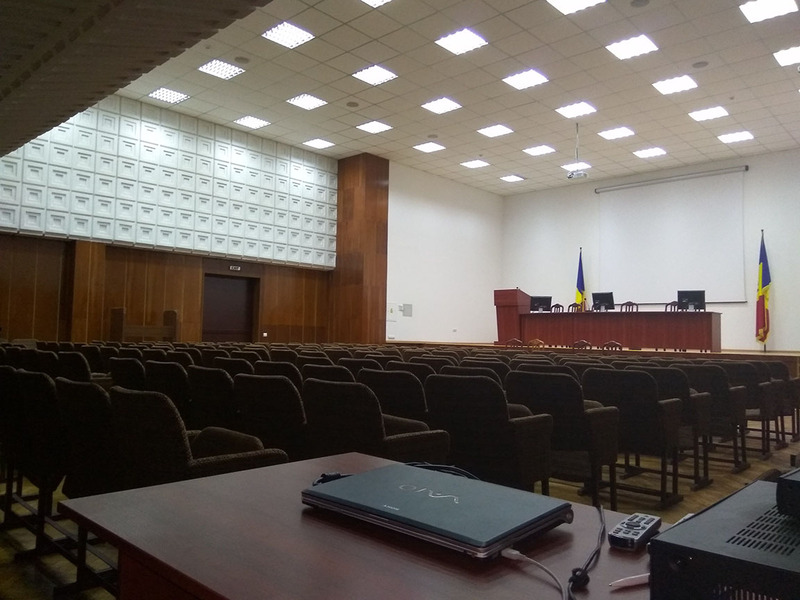 There is also a meeting room where the courses can be held and a secretariat room. Republican Center of Medical Diagnostics provides also a Conference Hall, available for scientific meetings. As well as other up to 4 (?) 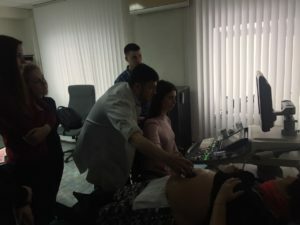 hands-on training for students and radiology residents in obstetric and gynecology ultrasound (under discussion with Students Assosiation of the SUMPh «Nicolae Testemitanu»). 24 February 2019. 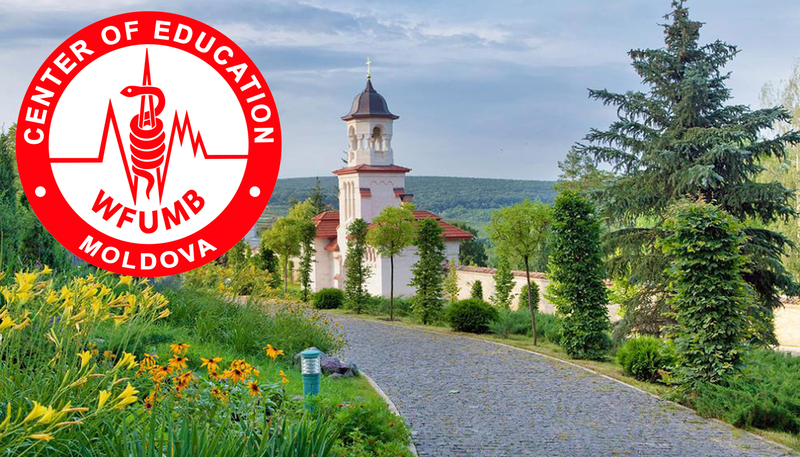 WFUMB CoE Chisinau hands-on training for students, radiology and OB/GYN residents. Basic physics of the ultrasound. Technical aspects and types of ultrasound examinations. Basic functionality of the machine. Basic settings of the US machine. Image optimization. Limitations and common artifacts. The effects of ultrasound on human tissue and safety issues. Practice guidelines (ISUOG, AIUM) of the routine mid-trimester fetal ultrasound scan. Fetal biometry – dating, assessing size and estimating fetal weight. Assessing the fetal growth. Basic knowledge of the fetal growth restriction. Basic Doppler knowledge. Normal and abnormal appearances of the fetal anatomy. Ultrasound features of common structural fetal abnormalities. Twin pregnancy. Normal and abnormal appearances. 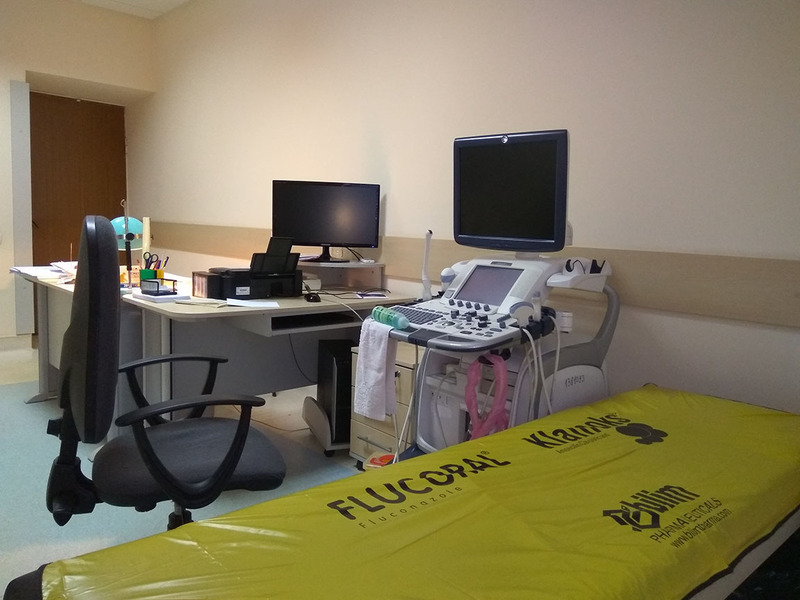 Ultrasound assessment of the placenta, amniotic fluid, umbilical cord and cervix. Key ultrasound features of common pathologies. Hands-on. Ultrasound scanning in II and III trimesters. Basic physics of the ultrasound. 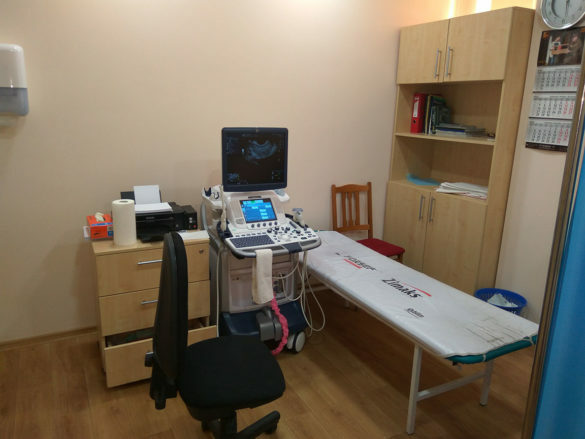 Technical aspects and types of ultrasound examinations. Ultrasound applications in various fields. Dating ultrasound, accurate estimation of gestational age. Sonoembriology. Normal and abnormal appearances of the embryo anatomy. Biometry and embryo vitality. Ultrasound features of the most common pathologies in first trimester. Twin pregnancy, chorionicity and zygosity determination. Basic knowledge of ultrasound screening of fetal chromosomal anomalies (11-13+6 weeks of gestation). Normal and abnormal appearances of the fetal anatomy. Common structural fetal abnormalities. Basic knowledge of intrauterine growth restriction. Hands-on. 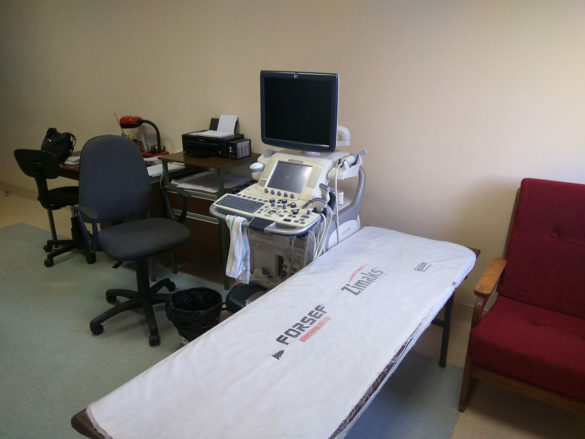 Ultrasound scanning in I, II and III trimesters. 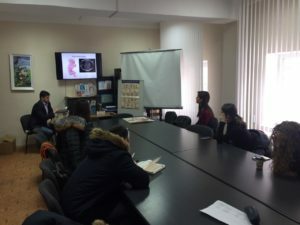 Basic training course in gynecological ultrasonography. Basic physics of the ultrasound. How the US image is generated. Limitations and common artifacts. The effects of ultrasound on human tissue and safety issues. 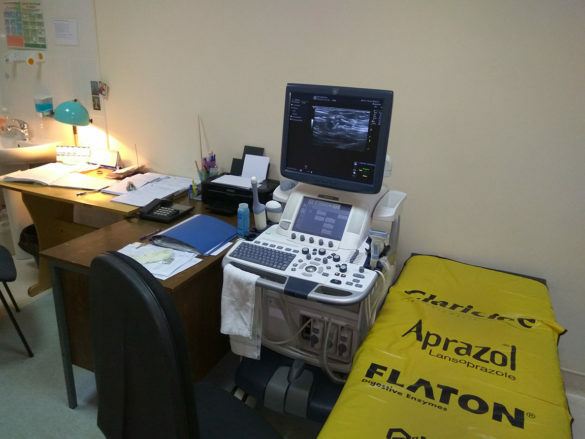 Technical aspects and types of ultrasound examinations. Ultrasound applications in various fields. Basic functionality of the machine. Basic settings of the US machine. Image optimization. Image recognition of normal female pelvis anatomy. US assessment of the menstrual cycle (uterine and ovarian). Image recognition of common gynecological pathologies. Hands-on. 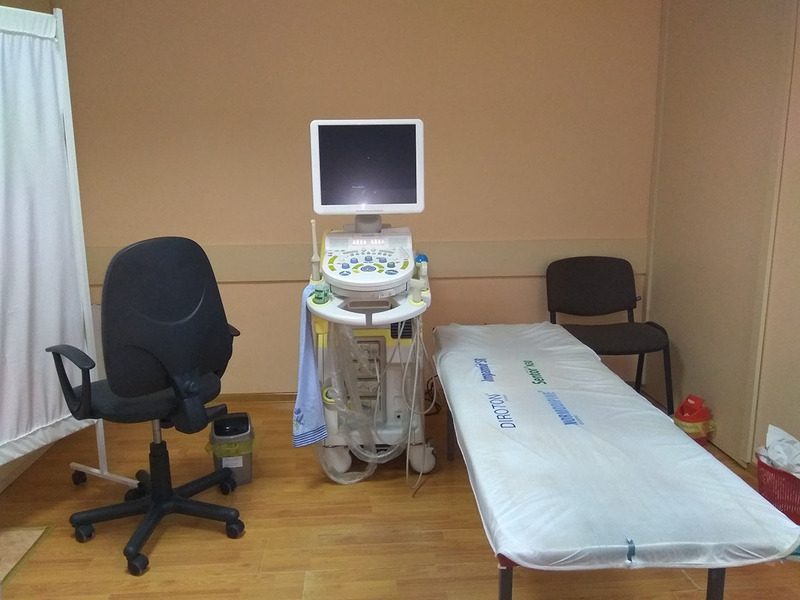 Ultrasound examination of the female pelvis (abdominal approach). 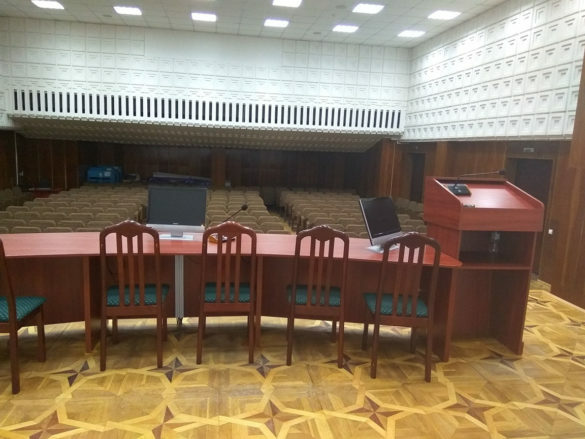 The workshop was attended by 144 participants (sonographers, gastroenterologists, radiologists, fellows in training) from Moldova and Transnistria. 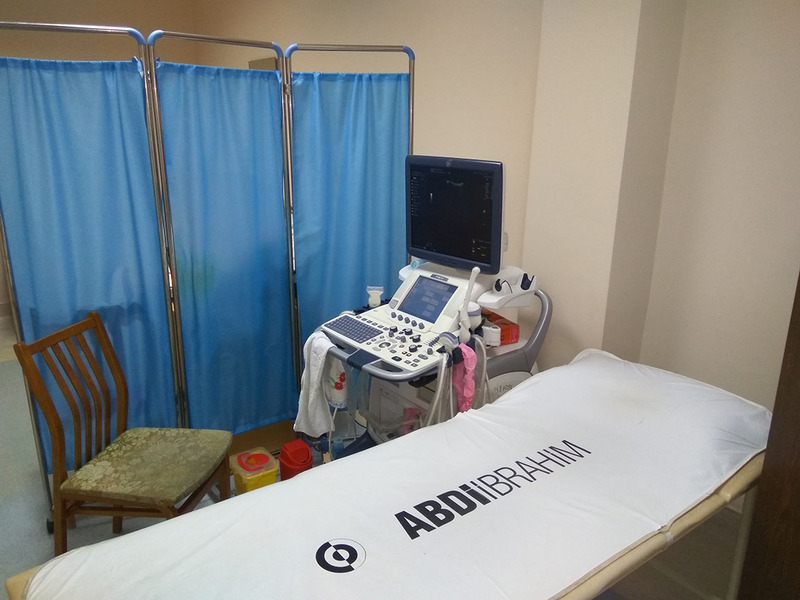 Abdominal ultrasound, from basic to advanced. Course opening. Introduction and aims of the course. Ioan Sporea. 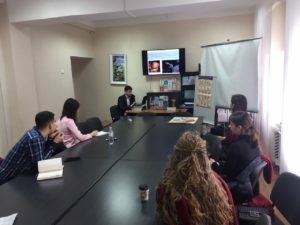 Gall bladder pathology: Stones and tumours – Alina Popescu. Bile duct pathology: Causes of obstruction – Mirela Danila. Liver pathology. 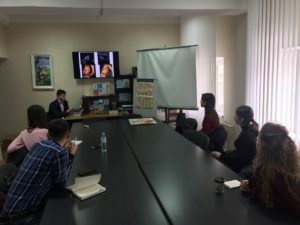 Focal liver lesions – Mirela Danila. Pancreas pathology – inflammatory changes – Alina Popescu. 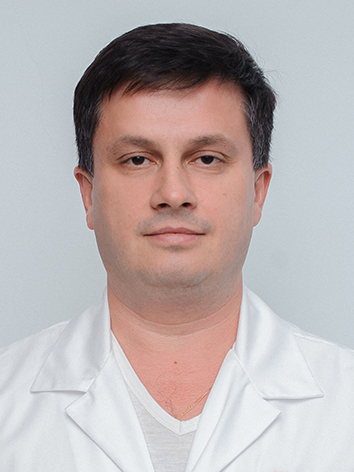 Pathology of gastrointestinal tract – Ioan Sporea. You can follow this COE by visiting the site http://www.crdm.md or clicking on the title above.